This seven-piece table and chair set brings a breath of fresh air to your dining area. Its relaxed vintage style has a chic beachy feel, perfect for summer lunches spent with the windows open surrounded by family. 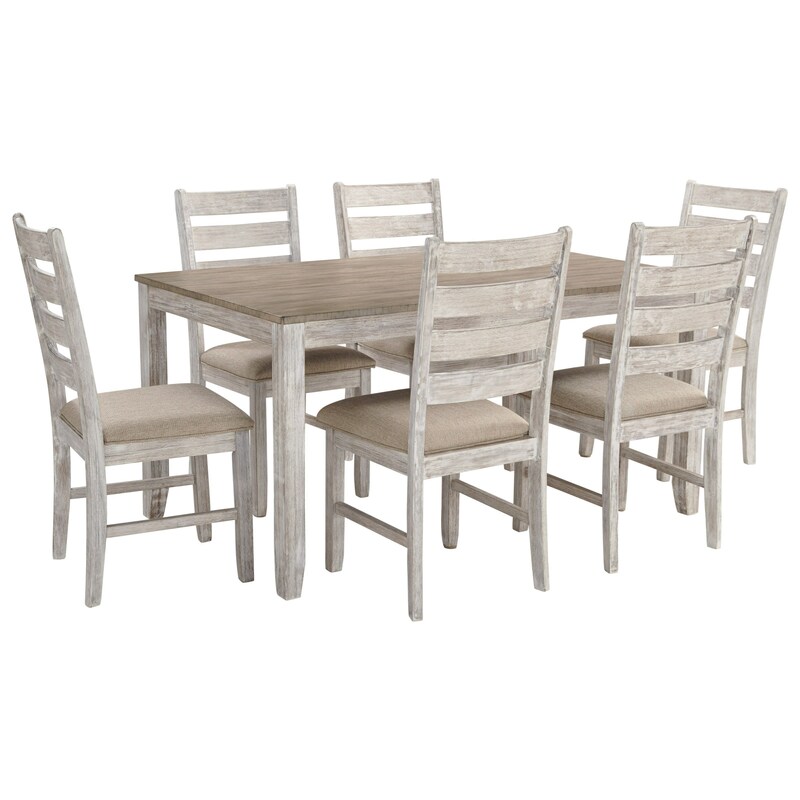 The sun-soaked look is created by the table's two-tone, distressed finish, which also feature a rub through effect. The ladder back chairs complete this set with comfortable upholstered seats. The Skempton Relaxed Vintage 7-Piece Dining Set with Two-Tone Finish by Signature Design by Ashley at Miskelly Furniture in the Jackson, Pearl, Madison, Ridgeland, Flowood Mississippi area. Product availability may vary. Contact us for the most current availability on this product.